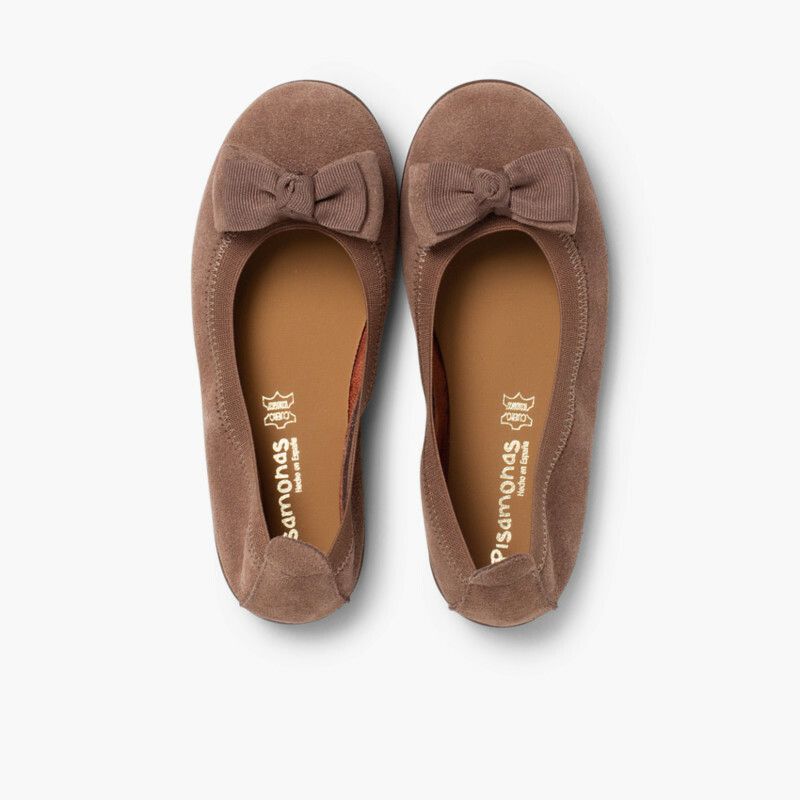 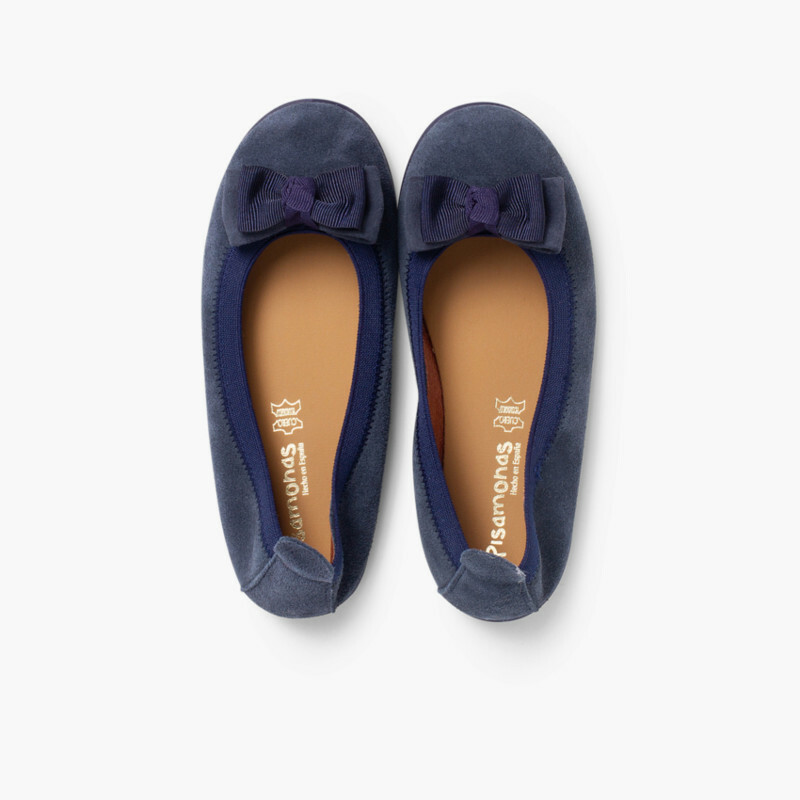 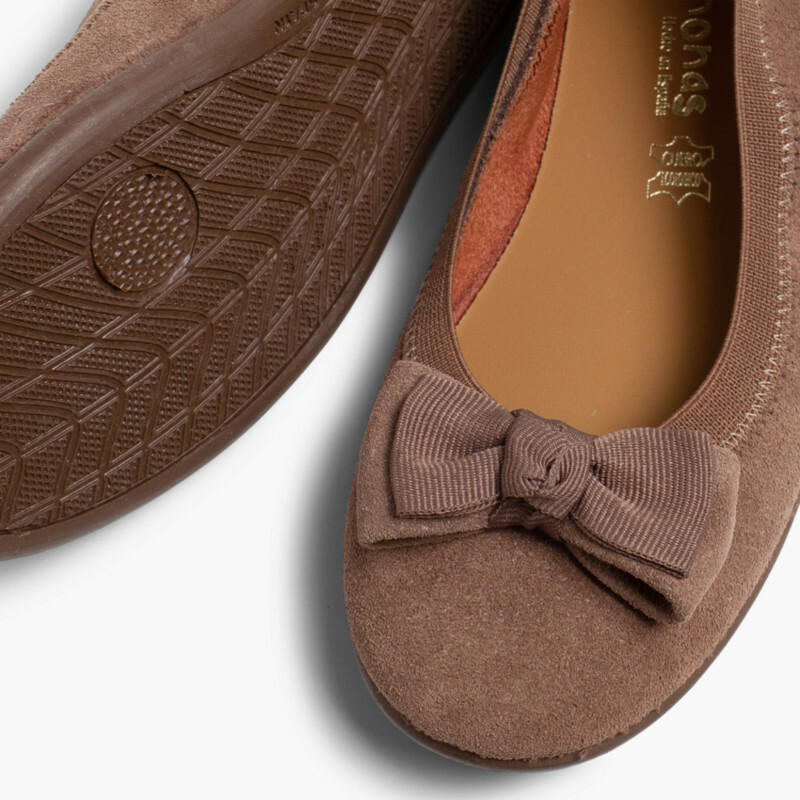 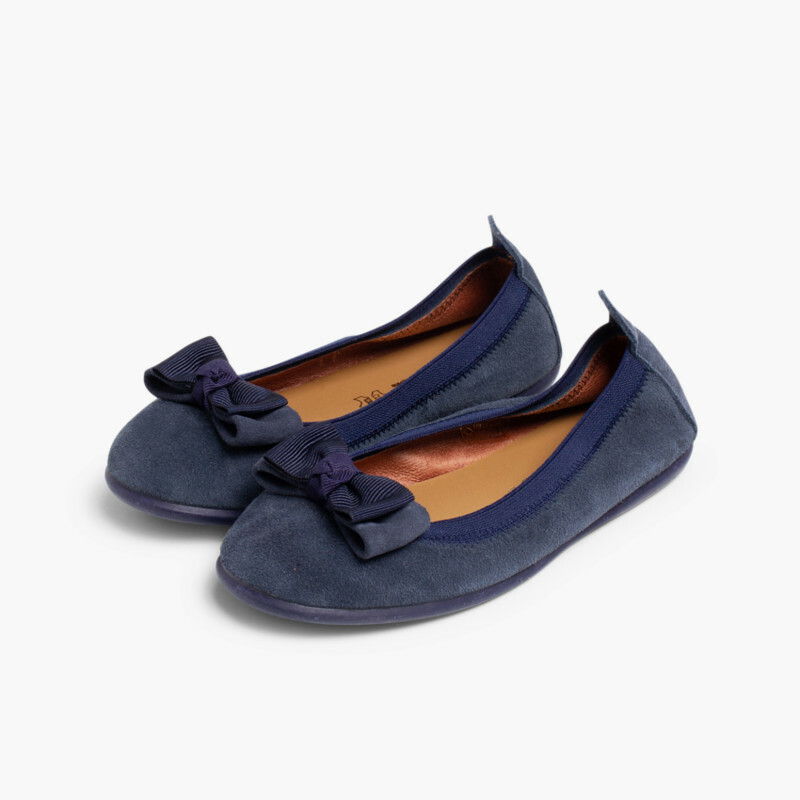 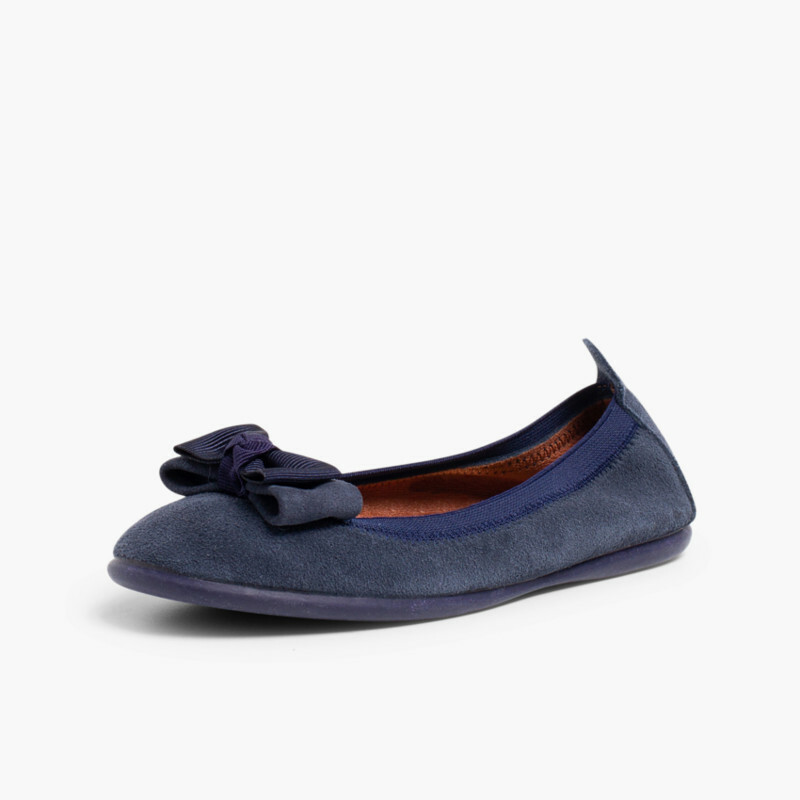 Ballerina shoes with double bows in suede, an elegant style that means you can wear ballet pumps in the autumn. 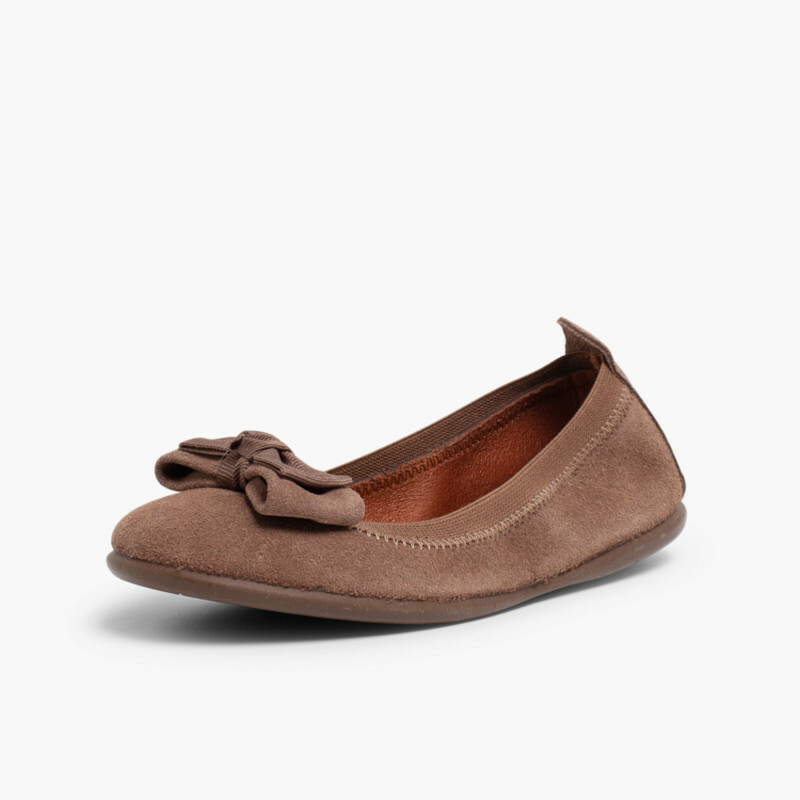 These ballet shoes are available in a wide range of sizes, from 6.5 child up to 7.5 adult, for mums who want to share their style with their daughters. 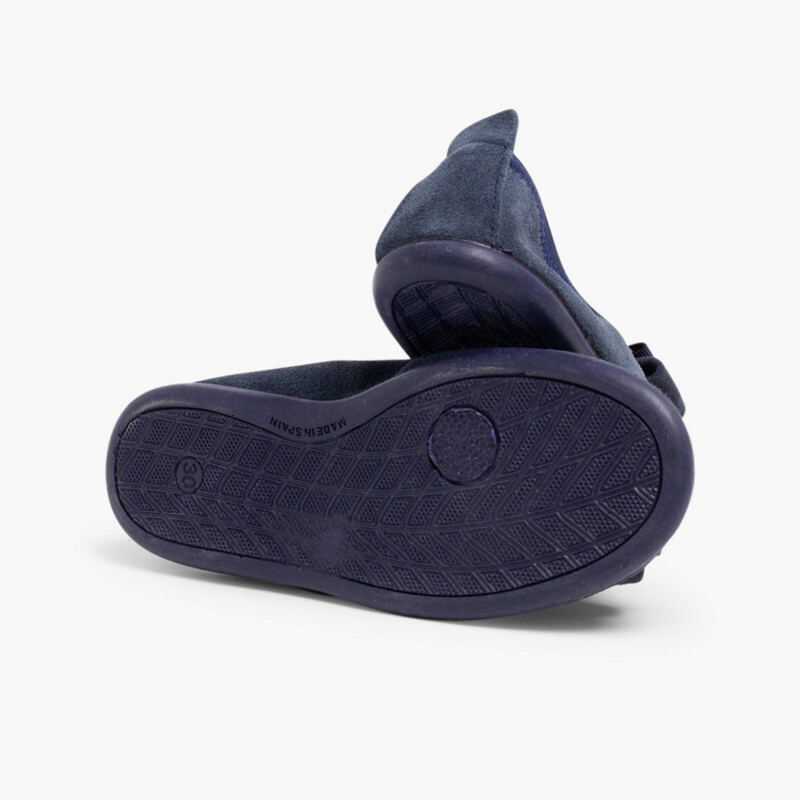 They come with soft leather lining and insoles, all made inSpain, and have elastic around the edges for increase foot support. 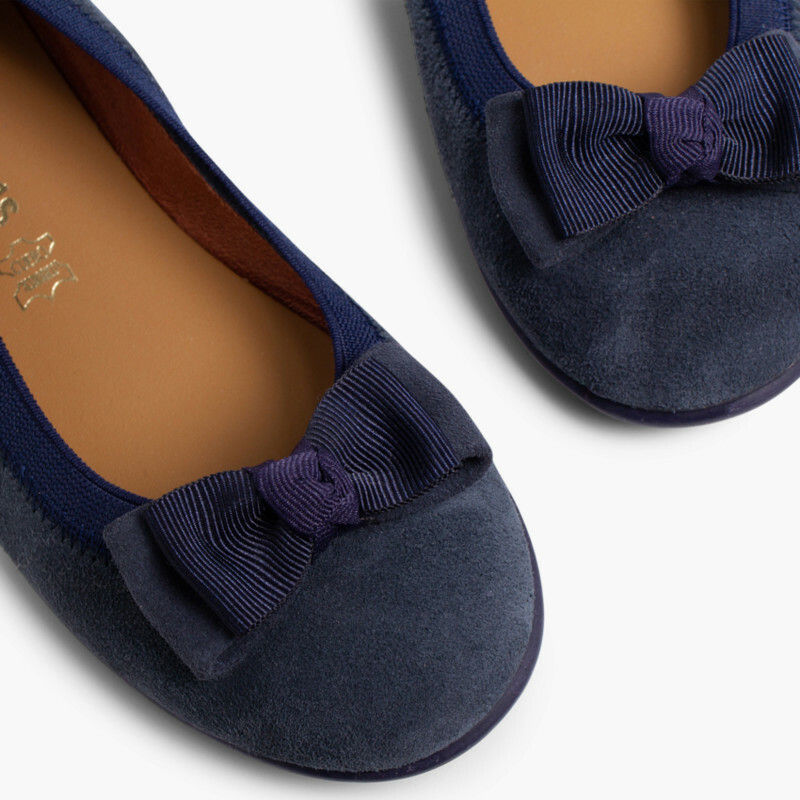 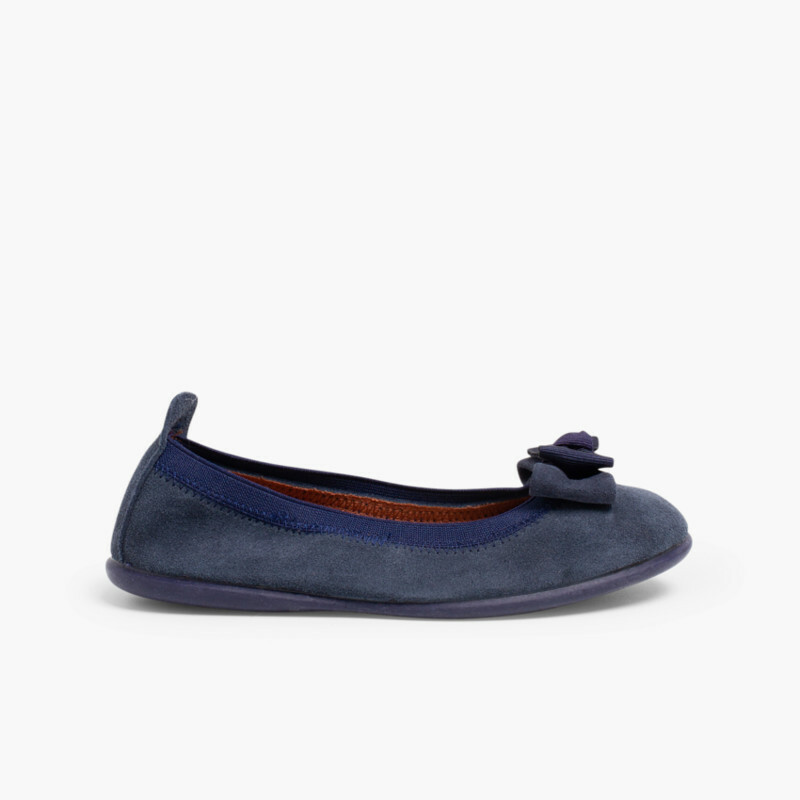 These ballerina shoes for women and girls are available in navy blue and taupe, two perfect colours for autumn and winter, which makes them the ideal complement to a wide range of outfits. 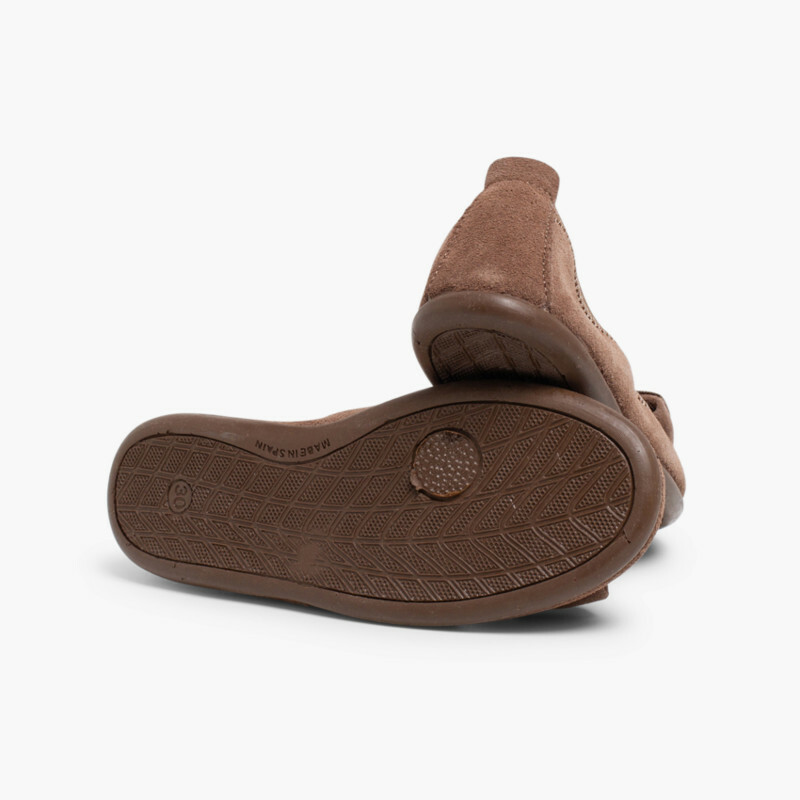 Check out our size guide: it makes finding the size you need really easy.